Concordia University’s Ski Club might not have the experience, funding or prestige of their adversaries—but don’t think that makes them any less determined. Winning isn’t what the club had been doing much of in the past, with their last championship coming in the women’s category in 1991. Their struggles continued all the way until last season, when the team finished the 2012 season ranked last in the men’s, women’s and overall categories. But it’s a new year, a new season and a new mindset for the club. “We’re trying to become more serious and more official,” said Pagé. It started with a more rigorous training program. The team first started hitting the gym four times a week in the fall, then the slopes twice a week in the winter. They even attended a training camp at Mont Saint-Anne during the first week of January, where they filmed their runs and watched them together to give and receive feedback. It’s an understandable position, considering the team’s situation. “We can’t compete with teams that have 10 skiers that have participated at the international level when we have just one or two,” said team captain Paul Blanc-Paque. The fourth team in the league, McGill, is a popular destination for some of Ontario’s best skiers, according to Blanc-Paque. This year, the team boasts three coaches and two team captains—Blanc-Paque included—who have already helped instill a new mentality within the team. “We have girls on the team who had never been to the gym before, who now go five or six times a week,” he said. “This season, I expect those who were there last year [to] show us that they’re real skiers, that we start to get serious and improve our results,” Blanc-Paque said, quickly adding that there’s more to the club than winning, however. “We’re not trying to become professionals—everyone who’s here just wants to have fun,” Blanc-Paque said. Unfortunately, that fun doesn’t come with the overseas training camps and expensive ski suits that Blanc-Paque says are offered at the likes of UdeM. 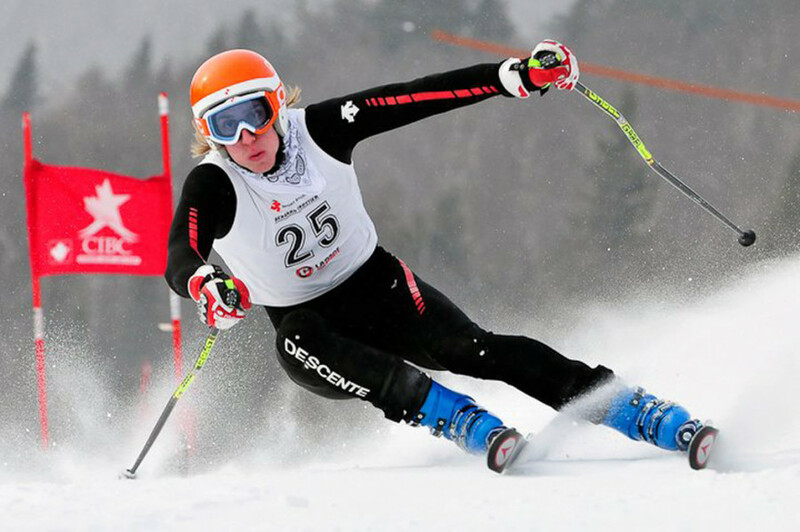 The Concordia Ski Club will officially hit the slopes for the first time this year Jan. 19, when they’ll slalom down Mont Saint-Sauveur in the opening race of the 2013 season.